Does anyone have the Java Code to Run a Stepper Motor! C te korsilam microcontroller r sathe interfacing r jonno.. java te na..
Can u plz share the source code. It will be a great help. Keu ki C te Huffman code korse? encoding and decoding. I need it. i have kinda worked with the code to control the stepper motor! but i want to see if there is something better!!! or maybe something more efficient! give me your mail address. I'll send you. 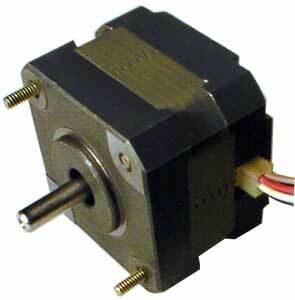 what is stepper motor ? A stepper motor is a brushless, synchronous electric motor that can divide a full rotation into a large number of steps. The motor's position can be controlled precisely, without any feedback mechanism. Stepper motors are similar to switched reluctance motors, which are very large stepping motors with a reduced pole count, and generally are closed-loop commutated. Is it used in web design ? buet er robotics dol regular robotic contest e jay, dekhona? creator jegula pic dise ogula deshe paoa jai na neways yup they can be driven with microcontrollers. accha floppy disk driver er vitore ei jinish thakena?? um not sure...joddur mone pore oitareo stepper motor bole. and that should be about a month..
RFT saif ree ask koro ora akta simple robot banaisilo with computer control. do u want to read or write to the port?? but why u want to use the inpout32.dll?? you could just use that. Page generated in 0.22836 seconds with 13 queries.